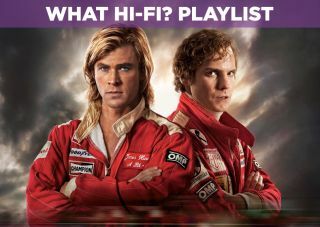 Rush – Blu-ray review | What Hi-Fi? Speed fans, rejoice. Not your thing? Well, rejoice anyway. You’re in for a ride, regardless of your knowledge of motor racing. Petrolheads will certainly be pleased. Rush is a sincere and mostly accurate celebration of motor racing as it was in the 1970s. But more importantly, it’s a slick, finely crafted drama and a tale of intense rivalry. It’s a good script from Peter Morgan (The Queen, Frost/Nixon) who has a knack for developing strong, clashing characters. The relationship between F1 legends James Hunt and Niki Lauda is tense, dynamic and at times very funny. This is bolstered by top acting from Chris Hemsworth and Daniel Brühl, whose turns are convincing and sympathetic. For a racing picture, there’s not actually that much track time. It’s probably a good thing, given the repetitive nature of the sport. The big hand of Hollywood is most apparent on the asphalt. The action favours close-ups and fancy editing over longer, more realistic takes. Nonetheless, it’s capably done: these scenes are energetic and neatly framed, and succeed in conveying a sense of exhilaration. Then there are occasional mistakes: the Nürburgring being nicknamed ‘The Graveyard’ may drive fact-checkers round the bend. But it’s not a documentary, and Rush succeeds in capturing the golden age of F1 racing with all its colour and gleeful irresponsibility. It also succeeds in giving your system a thorough workout. As you might expect from a movie about motor racing in the ‘70s, there are plenty of bright colours, which provide a great test of your screen’s vibrancy. The sound is tremendous in DTS HD Master Audio 5.1. Zooming cars make for a good test of effects steering. The sound of engines, pistons and gears is faithfully reproduced, and you can’t ask for much more than a kinetic soundtrack from Hans Zimmer. If you’re after the best and most accurate film about F1 racing, you’re better off with 2010’s Senna. What Rush offers is an effective drama with the right spirit, even if it doesn’t have all the facts. Go on – take it for a spin.